For me, the VPRO is one of the few public broadcasters left in the Netherlands. That means they are doing programmes that have a high public value to society rather than just trying to entertain us to death. Really fed up with all the mindless quiz shows, talent contests and general amusement designed to amuse me between commercial breaks and news bulletins. Last year they ran a series called The Netherlands from above, combining spectacular helicopter shots into an engaging narrative. Then, just like the BBC did with its series about Silicon Valley and startups, the VPRO put up sections of raw footage and invited the public to mashup the material into their own YouTube videos. They have been strict in requiring the public keep a huge VPRO bug in the picture and forbidding commercial use of the material (unless you do a deal). I believe they could have been more subtle - a bit like the BBC did. Some of the 25 submitted videos are in a special YouTube channel and the experiments that people have made with tilt-shift have resulted in some rather interesting variations on the original. 10 clips, each of around 16 minutes of material, are sitting here. They make quite an interesting programme capsule in themselves, even if there is no sound. A new series of 10 episodes starts November 14th 2013. In the meantime, let's hope there are at least a few days of summer for them to capture some more of these spectacular shots of the lowlands. Wonder if they will head further South this time. I see a lot of shots of Amsterdam and Rotterdam. Much less of Maastricht, Eindhoven or Nijmegen. There is a rollercoaster at an amusement park on the Flevopolder. These are shots of the Goliath. To capture these shots requires a huge amount of concentration and planning...respect! Update: some people asked me which BBC series I was referring to. The answer is The Virtual Revolution. Clips, like the one below, are still online. A Weird Thing Just Happened. Most of my work these days is outside broadcast - and very much focussed on the future. But those who know me will know that I learn a lot about the future from studying the past, especially media's past. Something very spooky just happened this evening. Was sorting out some papers in the office and one sheet fell out of a pile and onto the floor. 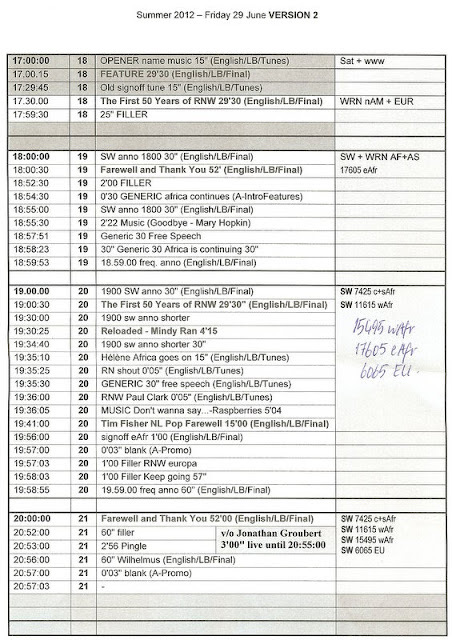 It was the page of the last day of transmission from Radio Netherlands, English department. What was weird was that this happened exactly one year ago to the day they pulled the switch. It was 2253 local time on a Friday when Jonathan Groubert, above, made the last announcement from Continuity Studio 4. One year later, the entire main building is gutted as they rip out everything looking for remnants of asbestos. You can still listen to the final broadcast on the Media Network vintage radio site. Completely empty - with most of the walls dismantled and chains around the front gate. It' s eerie for those of us who spent so much time in the place, to see a chain on the gates that were always open. The claim was that the gates had opened in 1961 when the place opened and never needed a lock because transmissions happened round the clock. Until June 20th 2012 when most of it all stopped. Sign says the new entrance is around the back - 50 metres further on. 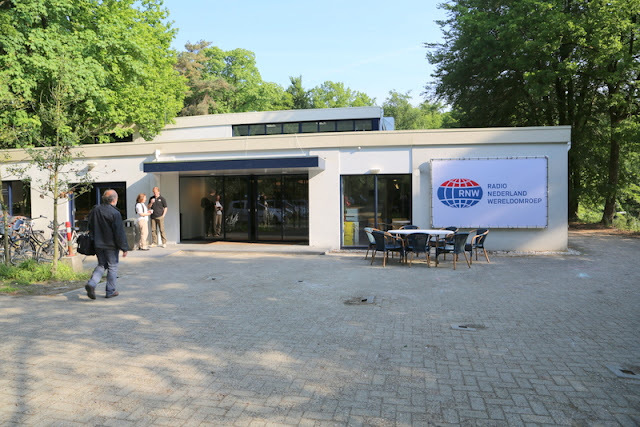 Radio Netherlands still exists, in a much slimmed down form. They moved in with their colleagues from the Radio Netherlands Training Centre next door, building an extra room on the first floor. I get invited to give guest lectures to the students on the broadcast journalism courses. And I must confess at being astounded by the advanced level of many of the students, especially from the commercial networks in India and parts of Africa. They are well ahead of the Netherlands in their integrated use of social media. It is often a case of what they can teach us! Revamped RNW-RNTC building is now open for business and production. In particular, enjoyed speaking with Arshad Rasool Zargar of NDTV, New Delhi. Now there's a TV station that's embraced social media. I am pleased to see that some of the on-line archives have been preserved by other organisations. Like the Expat Centre in the Hague. Great news for those who want to head for the US to build their tech company. Still has to signed into law for course. But I think it means Europe has to work even harder to show that it is in fact the better choice, especially for some high-tech technologies. 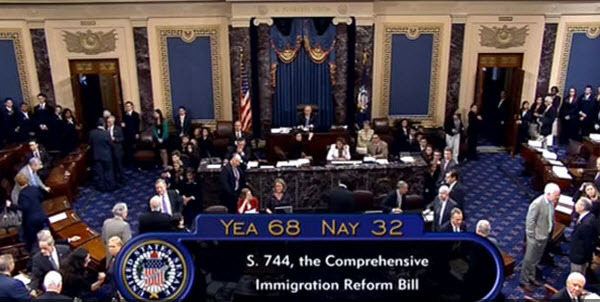 In an historic vote, the US Senate has approved a comprehensive immigration bill that, if signed into law, will provide a path to citizenship for illegal immigrants and enact a number of tech-friendly measures, including an increase in the quota for high-skilled immigrants, the creation of a “startup visa” for foreign entrepreneurs who want to start companies in the US, and allowing more avenues for candidates who are highly qualified in science, engineering, technology, or math to stay in the country. The bill passed the “Border Security, Economic Opportunity, and Immigration Modernization Act” by 68 votes to 32, giving the legislation crucial momentum as it heads to the House of Representatives for consideration. There it will meet a Republican opposition that, thanks to recent redistricting, feels less threatened by the results of the last Presidential election, when Mitt Romney was thumped by President Obama among Hispanic voters and other minority groups. In the meantime, however, major figures from the tech industry are in celebration mode. 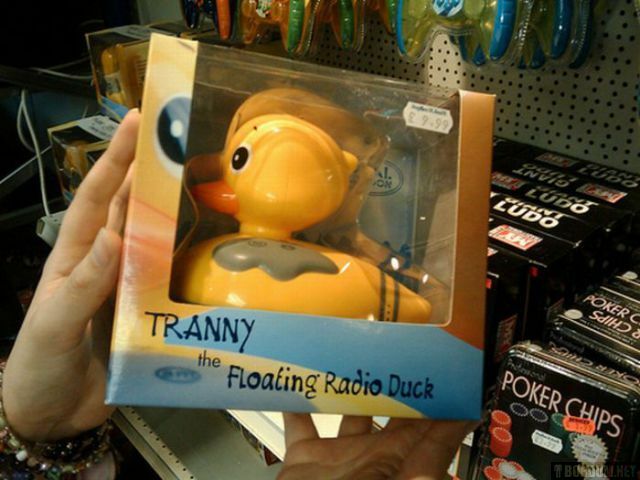 How much is an analogue duck radio worth? 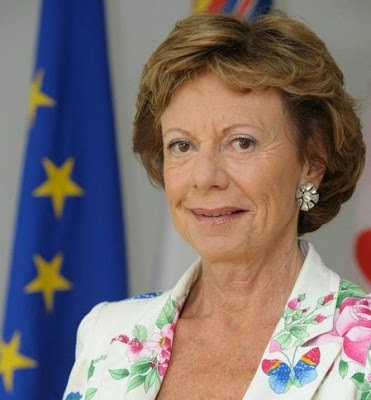 Neelie Kroes, Vice President of the European Commission and vocal champion of the continent's digital agenda ruffled a few feathers in the Netherlands at the end of last month by saying that when it came to digital technology, this country had few ambitions. She spoke in her native Dutch during a popular programme on public TV (entire programme is above). This is what she said during the interview. "The Netherlands needs to look much higher up the ladder, with much greater investments needed in research and education. The world is already digital. Europe is investing 41% of the budget in agriculture What a missed opportunity! Why not an injection of 10 billion into the nano and micro-electronics sector? That's a drop in the ocean compared to what we're spending on farm subsidies." Indeed, it does seem crazy that several US venture capitalists and banks are now popping up more often on European technology parks. They recognise the talent and technology that is growing in places like the HighTech Campus. And that these developments are the lifeblood of the global digital economy. The Netherlands is a leader in many areas. It has a robust digital infrastructure already in place. Neelie Kroes again "I believe we should be doing a lot more to encourage startups. All the large names, now household words around the globe, all began as an small company in a garage".
" It is incredible hard to start a successful business. There will be difficult steps. And some ventures will fail. But as Europeans we have to get over the continuing fear of failure that prevents many European banks and VCs from investing just at the right moment." Shortly after Neelie's interview, came the public launch of the HighTechXL accelerator program. Backed by Dutch Expansion Capital, as well as Ernst & Young, it's a perfect example of a local initiative with international impact. Actually it has taken almost 12 months to get everything in place. But it comes at exactly the right time. Guus Frericks is the man leading the HightechXL team preparing the program in Eindhoven.
" We know that 70% of the teams we're looking for are outside The Netherlands. We're doing a pitch session in Singapore this Friday June 28th. We're setting up more in places like Bangalore, Silicon Valley, Cambridge, Paris, Graz, Munich & Marseille." 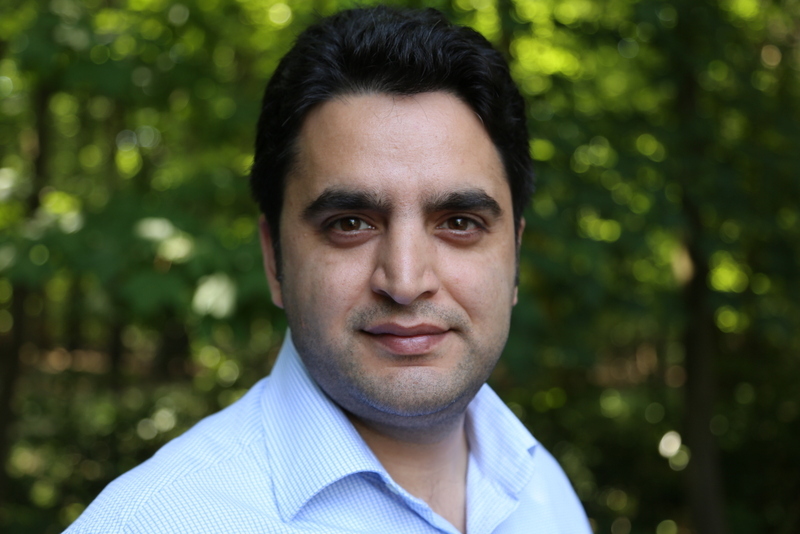 " What we're really doing is tapping into a brilliant ecosystem that already exists here in Western Europe, and especially in this area of the South-East of the Netherlands. Our private equity firm has a long history of working with young high-tech companies. By working closely with Startupbootcamp network, we're able to cherry pick lessons learned from the app and software development & accelerator world." "Quite often great software startups bootstrap their first few months. But if you're building hardware in the high-tech sector, constructing your prototype or proof of concept can't happen without some seed or so-called Series A investment. The teams we're looking for are working with hardware as well as software, so the earlier they get feedback from the market, the better." " If a customer tells an app developer he doesn't like one aspect of his app, fixing it is usually a few lines of code. If someone says the design of your 2 metre solar panel doesn't meet their minimum requirements you have a very different scale of problem. It could take months to fix it. " " As we launch HightechXL, we'd love to invite Neelie Kroes to have a look at what we're doing with high-tech. We don't have mountains in Eindhoven. So no physical valleys. But we're bursting with talent and ambition. And we're inviting the world to share. " I kid you not. 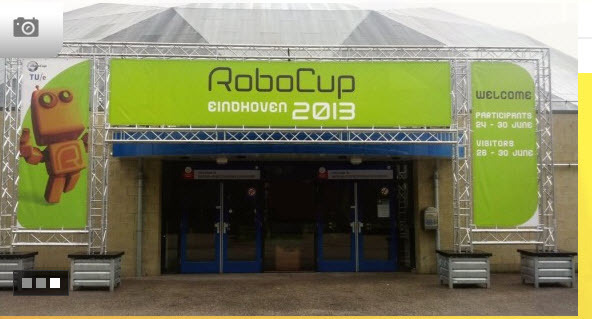 For the next few days, Eindhoven, The Netherlands is home to over 2500 robotics enthusiasts as part of the international Robocup2013 competition. A huge effort has gone in to hosting this international tournament. While to outsiders it may just look like a geek fest, the artificial intelligence technologies being developed by researchers are increasingly important. to society. Not only to do the jobs that are routine, but also to go into areas where no humans would dare to tread. Robots are already used in natural disasters, but they always need to be driven. To build effective robots that can operate and think for themselves will need another couple of decades. The Robocup organisers have set themselves a goal. To build a robot soccer team that beats a human team by the year 2050. Live feeds from the event are here below and are active throughout the tournament (Eindhoven is on time zome UTC+2). It ends on June 30th. The competition is split into various leagues, for example, how can robots be used in the home? Look at this video from a previous event. Are you building a robotics company? 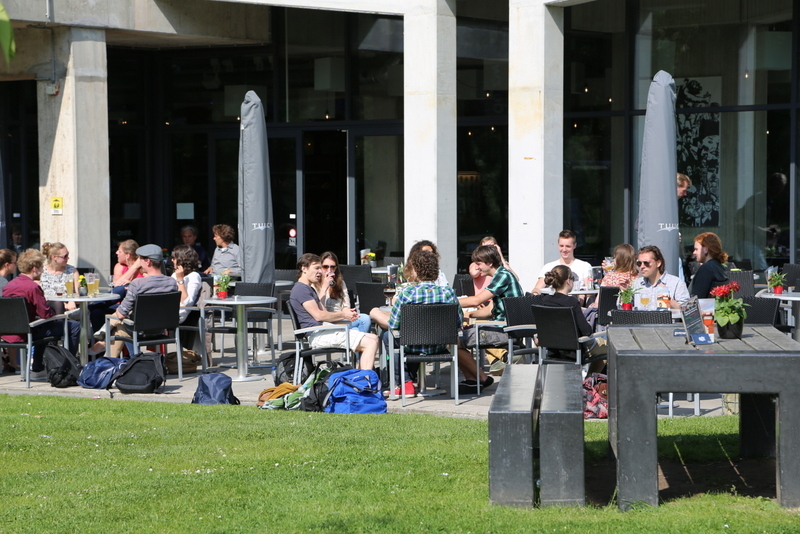 Many of the contestants in Eindhoven are doing more that just playing games. This is a great opportunity to show the outside world just what artificial intelligence has achieved so far. Our brand new HightechXL accelerator is actively looking for teams that are interested in applying for a high-tech accelerator program we're organising in Eindhoven in November 2013. Robotics is one of the 8 fields of interest. Here are ten reasons to consider the High Tech Campus as a place to build your robotics company. 8000 next-door neighbours who are engineers, entrepreneurs and developers sounds like a pretty good reason to me. No, this is not crowdfunding. It is simply Nivea Netherlands doing a rather elaborate flashmob. Looks to me like the Furniture complex next to Amsterdam's Football Arena. Nicely done. These last two decades have been totally disrupted by the Internet. There isn't a business that hasn't been affected. And all this the virtual connectivity, as well as cheap access to powerful technology, has also affected the way companies innovate. 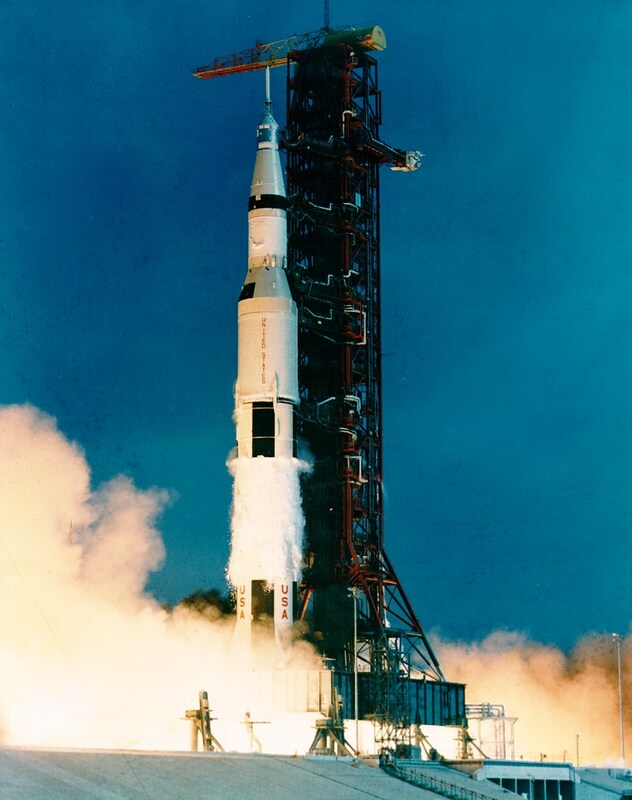 Most of us are walking around with several thousand times more computing power than NASA used to send a man to the moon in 1969. The so-called Apollo Guidance Computer (AGC) used a real time operating system had approximately 64 kilobyte of memory and operated at a speed if 0.043 MHz. Today, as Futurist Gerd Leonhard often says in his talks, it feels as if the speed of disruptive change is no longer linear. But it has become logarithmic. 8 comes next to four instead of 5. End User Innovation - Early Business Model Canvas? The late Peter F. Drucker, the Austrian-born US management consultant, is often credited with explaining how larger manufacturers innovated in the past. Basically they locked themselves away in secret labs, developing products they could patent and then sell to the public or other businesses. As the world becomes more connected, this is becoming harder and harder to do. Meanwhile, along came the notion of End-user innovation. A person or a small company develops an innovation for their own use because existing products or services don't meet their needs. Access to powerful computers as well as cheap hardware has made it possible for brilliant companies to start in the back of a garage, often funded by personal savings. In 1988, MIT economist Eric von Hippel identified end-user innovation as, by far, the most important and critical in his classic book on the subject "Sources of Innovation" now available for free download. The Kline Chain-linked model of innovation places great emphasis on potential market needs as drivers of the innovation process. It also describes the complex and often iterative feedback loops between marketing, design, manufacturing, and R&D. To use this sounds like very early thinking that we know call the Business Model Canvas. 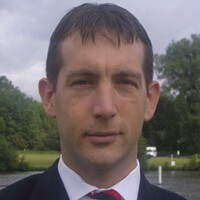 Jed Cristiansen is an American living in London. He's raced solar-powered cars across the Australian outback, operated nuclear reactors and US Navy submarines, been a consultant, and currently works for Google. In 2009, he wrote an extensive paper outlining how people could copy Y combinator, the successful accelerator program that kicked things off in Silicon Valley. 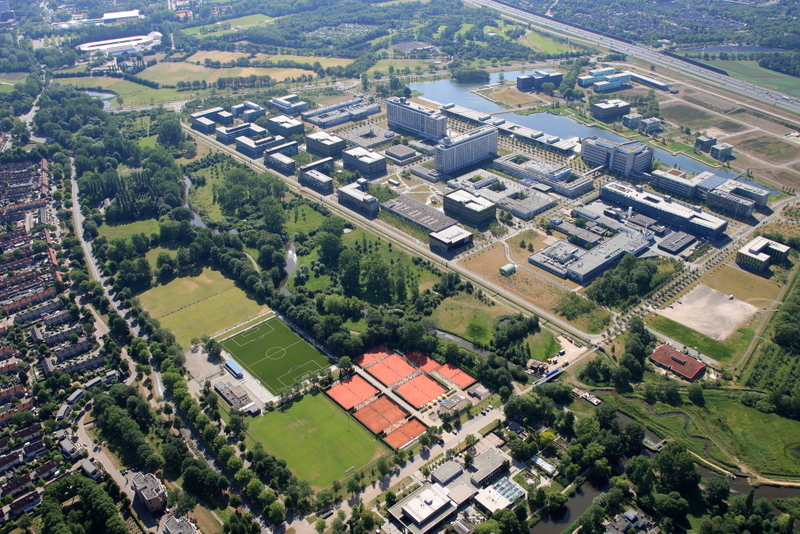 It's inspired us to build a more focussed program in the South of the Netherlands called HighTechXL. The report is an extensive analysis, but draws relatively simple conclusions. To be a continued successful seed accelerator program, you need to have a financial model that works, provide value to the companies that you invest in, and invest in the best possible companies. That means the best possible companies need to prefer your program to any other. Jed now runs Seed-Database which monitors the successes of the Accelerator community. That turns out to be around 169 different programs, most of which are still in business. Early Philips research building - surrounded by barbed wire fencing. To prevent secrets getting out or great ideas getting in? I've spent the last month wandering around Eindhoven, which is arguably the smartest city in the Netherlands. And the 1 sq km on the outskirts of time is brainiest concentration of talent in Western Europe. It strange to think that back in the early nineties this whole area was a sort of Philips Forbidden City, when geniuses were inventing for you. But all of this invention was behind barbed wire. With the establishment of the High-Tech Campus, and the arrival of around 100 companies alongside Philips from 2003 onwards, the campus has long taken down what were the barriers to innovation. They discovered quite late that big companies constantly need sparks of inspiration. And they need to get that from small start-ups operating on the edge. Taking little for granted. The challenge when you're developing hardware alongside software is always tapping in to enough money to be able to make useful prototypes. And in the case of high-tech, more companies need to test their ideas MUCH earlier to avoid calling into the "we invent for you but you don't like it" syndrome. I have always been a believer that if you want to lead a creative production process, whether its radio, TV or emerging media, you have to have experience in making great content to a deadline. According to a Guardian article by Maggie Brown , all is not well in the land of TV channel controllers - because they tend to be bureaucrats not programme makers. I have always argued that making a programme is easy if you have enough time and money. The skill is to be creative on a tight deadline and a small budget. Tom Archer, a former senior BBC factual programming executive, has painted an unflattering picture of TV commissioners. Archer, based in Bristol and paid nearly £200,000 a year, was responsible for about 1,000 programme-makers in key areas – including natural history and popular documentaries such as Coast. His inaugural lecture, as a visiting professor at Bristol's University of the West of England earlier this month, took as its starting point the proposition that "there is something really rotten in the state of television today". This was caused, he said, by a centralised system of commissioning by people who increasingly have no real experience of the production process they oversee, and who comprise an "uncreative crust". He painted a picture of a system rooted in the "pseudoscience" of broadcasting, analysing and applying lessons from digital information about audience behaviour – down to the point, to a split second, at which test groups switch off, or lose attention. Archer argued that this promises the impossible – the illusion that there is a way to guarantee everything made is a hit. Instead, he said it was a recipe for dull and copycat programming. His reading of recent television history is that the rise of independent production in the 1980s, however desirable as a means of injecting diversity and competition, also handed more power to a growing band of commissioners and channel controllers, as broadcasters became increasingly publisher/broadcasters; heads of in-house production departments (such as Archer) lost out. "It is a regular sight to see a channel controller in a meeting with may be a dozen advisers, and not a single one of them has ever actually made a programme." Archer sounded bitter, yet his conclusion, that commissioning rather than programme-making is now the way to the top in television, is accurate (with a few honourable exceptions). It is also equally true that there are far too many independent producers chasing commissions, but that a successful pitch can from time to time turn into the stepping stone to serious money. Either way, commissioners are indulged as demi-gods, even if both sides privately decry each other. Not sure we're hearing anything we didn't already know here. More than 50+ commissioners at the BBC just on factual! But what Archer doesn't tackle is the wide disparity in budgets across the BBC, as well as technical facilities. London is boasting the most modern newsroom in the world. But some of the outposts of the BBC in places like Nottingham and Oxford look to me like relics of the late 1980's. With budgets often unevenly distributed, there is little room for experimentation. Many producers have become "slave" to the transmission deadlines. Reminds me of Armando Iannucci's BAFTA lecture again. Great to see him on the Daily Show. It has been a busy but inspiring couple of weeks for the team behind Startupbootcamp HightechXL. That includes me, as I'm currently Managing Editor for the project. It has taken since the middle of last year to build the plan for the world's best high-tech accelerator. We've learned from the experiences from our great Startupbootcamp colleagues in Berlin, Amsterdam, Copenhagen, Dublin, Haifa and London. But we have also listened to local high-tech entrepreneurs who have been successful in what is called the "Brainport" part of the Netherlands. We were especially delighted when talks with the High Tech Campus resulted in a prime office position right in the heart of what's happening. 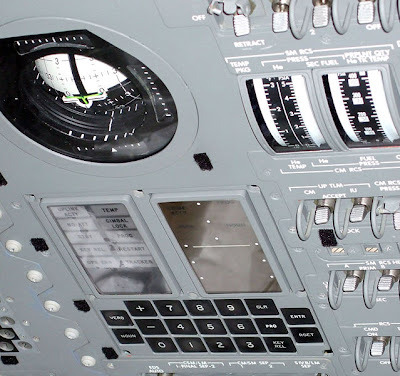 All systems are now go. So with the everything in place for the next 3 years, we now have but one goal. Over two days at the High Tech Campus we will select the final 10 teams who will go through to the full accelerator program starting on Monday November 11th. We made a very public launch of HighTechXL during the recent Dutch Technology Week held all over the Eindhoven region. This gives a chance for the public and other sectors of industry a chance to get the "backstage tour" of what's happening in high-tech in the region. Partner Ernst & Young organised an afternoon workshop for its network to explain the difference between an incubator (who provide facilities) and the High-Tech Accelerator which provides an organised program plus access to an unrivalled network of mentors. "We have seen other presentations of the Business Model Canvas and the Lean Start up methodology. 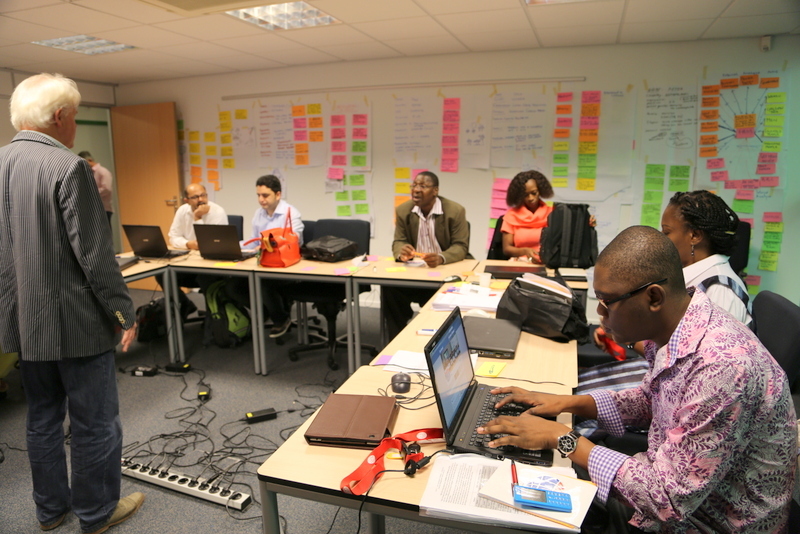 But the workshops have often been with fictitious examples, or a project taking place on the other side of the world. Carolien Sandee, who organised the event on behalf of Ernst & Young as well as Startupbootcamp HightechXL, took a different approach". 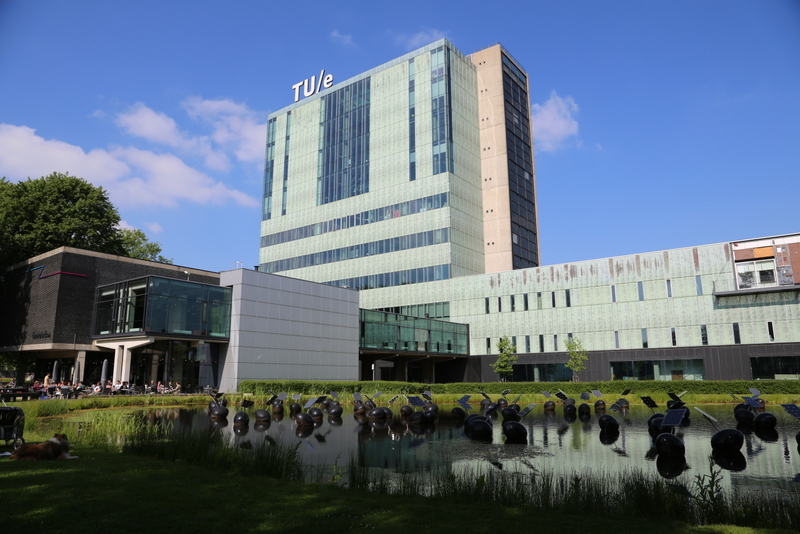 "We found out about a great renewable-energy project working at the Eindhoven University of Technology. The Solar Team Eindhoven are competing against many other universities in the world for the annual solar-powered car race. It takes place in Australia over the 3000 kms between Darwin and Adelaide. The Solar Team Eindhoven caught our eye because they're competing in the cruiser class. This means that as well as being judged on speed, they are also being examined for how many people they can carry, the external energy requirements and the general handling and comfort of the car. The car will be revealed to the world on July 4th, but Lex Hoefsloot, the team leader, was able to share a few secrets with us about how far they have got. This team really rocks!" "Lex also posed a number of dilemmas to the audience of several hundred participants. So we asked Samantha van Rooij of Business Models Inc (the publishers of the Business Model Canvas Book) to facilitate a very practical workshop. We split up into groups and 90 minutes later came up with a number of very practical suggestions in their quest to build the solar family car of the future. We also demonstrated the way we will be helping the HightechXL teams when they join us in Eindhoven in November. And the first prize for the winning group is a test drive in the new solar car. Working out the different Business Model Canvas options for the solar car! The afternoon concluded with encouragement from former Dutch prime minister Jan Peter Balkenende. He's retired from politics, but now takes a keen interest in corporate governance and the growth of small medium enterprises. First prize is a test drive in the new 4 person solar energy car. Patrick Gabriёls of Ernst & Young closed off the day's proceedings. "HightechXL is now no-longer a dream. It's all systems go. The next step is our global search to find brilliant teams.The first of these global pitch days starts on Friday June 28th in Singapore. If you're in the region, now's the time to sign-up." Now we're opening the hunt for brilliant teams in the rest of the world. I am currently looking at the Next Steps for Broadcast Media, as I prepare a keynote for the Futures Agency, a guild of diverse and fascinating futurists lead by Gerd Leonhard. My experience in broadcast media tells me it takes about 5-6 years to totally transform a traditional broadcaster. For it usually means fundamentally changing the way everyone works and think. More often that not, broadcasters leave the decisions to change far too late, by which time politicians have a nasty habit of wealding red pens in the absence of clear leadership within broadcast ranks. As Armando Iannucci said in his brilliant Annual TV lecture at BAFTA last year (full transcript), the BBC, when challenged, has a habit of "turning itself into a local police station". I will always remember Acting DG Mark Byford apologizing "unreservedly", after Greg Dyke misjudged the political impact of Andrew Gilligan's Radio 4 Interview. It is amazing to think that the interview in question went out on May 29th 2003, over 10 years ago. Senior Broadcast management also have a tendency to talk about the media they run into a sort of lumpy custard of cross-platform terms. No wonder it ends in tears. Infact, the future scenarios for the distribution of topical factual rolling-news content are very different to fiction and factual documentaries for TV. And radio consistently loses out. Especially international radio which has all but vanished from the political radar in most countries. So I hate it when conferences, usually organised by those outside the media industry, lump factual features for radio with their colleagues in music-based radio networks. They couldn't be more different. Live Versus On- Demand - welcome to a different universe. I'm seeing that broadcast is still important when it comes to live news, weather, sports and special events (including live music events). But I'm seeing that apps on tablets are doing a much better job of delivering epic collections - whether it is Game of Thrones drama, documentaries or even coverage of conferences where I am interested in in-depth edited coverage. I don't want to wait around to experience things live. I want to view or listen to the curation efforts of experienced reporters. They save me time, and bring me a much clearer focus. When it comes to certain topics, like technology, the smaller Internet broadcasters like This Week in Tech are doing a much better job than network TV in drilling deep into areas that interest me. Admitted you have to know where to hunt to find it, but the coverage of gaming conferences like G3 or the Google I/O are much better on these niche networks than you'll ever find on networks like the BBC. And the commercial TV networks like CNN are simply hopeless in this area (CNN's TV ratings for their features look a lot worse than many vodcasts.). There seem to be various schools of thought. I'm with Armando with his conclusions that we need to emulate what HBO amd Netflix are doing. Commissioning great programmes and taking risks. I'm also with media futurist Robert Tercek and Gerd Leonhard who recorded a fascinating half-hour exchange in London this past week. Embrace a Spirit of Radical Openness. Companies that succeed will be open as much as possible. Access is the new buzzword. Attention is the new economy. Audiences want to be recognised and influence. Tight control doesn’t work. People want to access at times that suit them, not the broadcasters. Those that persist in wasting funds to push channel concepts and appointment TV are just radiating the fact that they don’t understand their audience. The future is Digital by default. YouTube has become the memory of analogue channels. If digital doesn’t lead, then your great content is un-findable. And if the public has already paid for that content through taxation or a license fee, they are getting increasingly annoyed that they can’t access it easily. They are incensed when broadcasters like ARD explain how they are restricting access to content they have paid for! Sports is the next industry to be disrupted. And its already having a knock-on effect to the media. Look at how ESPN is shifting it’s strategy. It used to be that football stadia were in partnership with broadcasters. Now they are pitted against each other. In the US, the Major League Baseball app is one of the most popular – and the most expensive (99 dollars a year!) The league is less dependent on TV and (especially) radio to get the big numbers. Content that can go direct, will. Everyone with content can go directly to the consumer. Look at Nike, Virgin Galactic, Dove or Red Bull. And if you don’t do it, someone else will. Some performing artists have withdrawn their talent from specific platforms because they think the time or the compensation model isn’t right. Since the emerging platforms interact with audiences at a far greater level, everyone is still figuring out how to build value. But you can see that those who don’t participate in this learning experience will be forgotten by those who do. And those who participate are working out ways to make money. Production companes can interface directly with the public, gaining very powerful leverage over broadcast/cable companies. Look at Game of Thrones, the epic fantasy drama created for HBO by David Benioff and D B Weiss. Not only one of the series with the biggest production budget (70,000 US dollars a second), it is also believed to be one of the world’s most pirated shows. HBO is just training people to understand how bittorrent works. It’s just a shame that period drama can’t make use of non-spot advertising! Filmed in a Belfast studio and on location elsewhere in Northern Ireland, Malta, Croatia, Iceland, and Morocco, it premiered on HBO in the United States on April 17, 2011. But I digress. Social networks are becoming the next broadcasters. They are certainly fulfilling an archive function that most broadcasters never considered. Especially speech radio woke up far too late to the fact that a catalogue of your best work is handy to prove to both the public and politicians that you're doing more than live streaming great programmes in the ether and, effectively, destroying the content as it is broadcast. Move mobile to the centre of the business. People check their phones anything up to 150 times a day. Rapidly becoming the first screen not the second screen. Mark Zuckerberg is already talking about 3 billion on Facebook. Even though that final figure is unlikely, he is half way there. Social networks are the next broadcasters. They are already the de-factor curators of broadcast content. The best and most watched content on YouTube has been produced to professional standards - low budget productions can easily look like a million dollars. Big data is becoming major driver of media. Media companies have so-far missed the opportunity to exploit their metadata. Cable companies have not managed to understand how to interpret their usage data with the result that Amazon-like recommendations don’t work. Electronic Programme Guides still smack of long lists of stuff rather than a browseable back catalogue. The video concludes with remarks by Gerd following a speech at the end of last month to public service broadcasters. He called on broadcasters to realise that they need to find new ways for audiences to access and interact with their content. They make good stuff, but curate it in ways that people under 30 don't know how to access it. And when they don't access it, they don't see the reason to pay for it. As others have pointed out, it is precisely this lack of decisive leadership that has gotten public broadcasting into such a mess in Europe. And that makes me furious at the missed opportunities - and the wasted mountains of money producing programmes that no-one can find. Calm down indeed! I am rather tired of seeing the standard quotes popping up at tiresome conferences where people on podiums point out that the future is difficult to predict. They have found quotes like these, which are all over the web. "The bomb will never go off. I speak as an expert in explosives." -- Admiral William Leahy, U.S. Atomic Bomb Project. etc. etc.. More here if you're curious. I'm more interested in those who got it right. Like the writer of this news piece. It's actually British newsreel film from 1939 which would have been shown in cinemas, in which they tried to predict fashions in the year 2000. I wonder if designer Jean Paul Gautier saw this film? For the cone bra that he designed for Madonna or Lady Gaga looks just like it. And that men would carry mobile telephones? 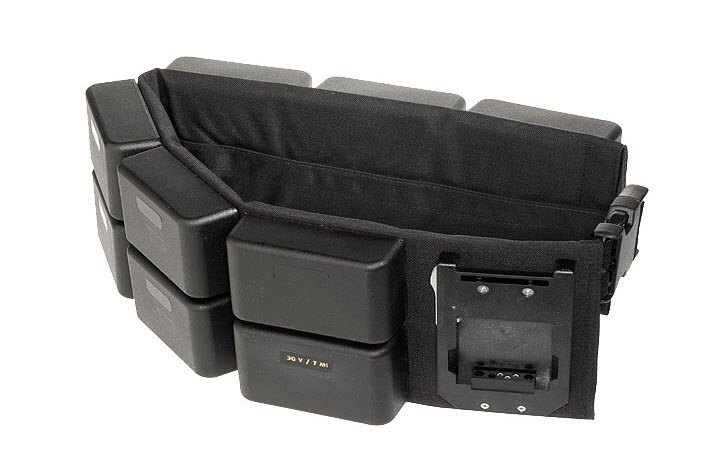 Or geeks would carry battery packs to keep their stuff charged up and ready to go? Better than Raymond Baxter on Tomorrow's World. VPRO International - A public international programme service. But for how long? Its coming up to a year since Radio Netherlands closed it's English language radio service. The Dutch government said in June 2011 that it had other ways of getting the story of what's happening here to the outside world. And cut the budget by 70%. Frankly, although shortwave radio should have been replaced by video much faster than it was, the Dutch government hasn't really succeeded in its aims to fill the gaps. 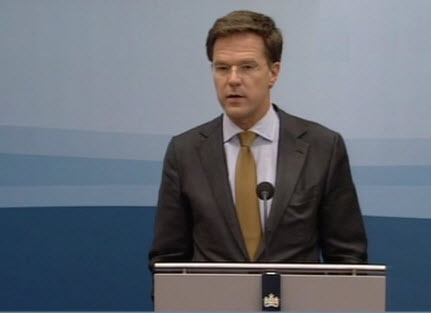 In a press conference on Friday 17th June 2011, Prime Minister Rutte basically thanked Radio Netherlands for their efforts so far, but concluded that national image building abroad and calamity services are being done by others already. This form of public-financed publicity is a luxury the Netherlands could no longer afford, partly because it’s so difficult to independently measure its effectiveness. Actually, that's not true. The challenge facing the Dutch is that no major foreign news network has bureau in either Amsterdam or The Hague. The freelancers and stringers who work for Al Jazeera, BBC, AFP, Russia Today, etc cover the affairs of the International Criminal Court . But they hardly ever cover Dutch political, social and scientific news. I note some BBC programmes like Click! pop over to The Netherlands for a whistle-stop item collection tour and then head back to London asap. So it's great to discover a little known channel on YouTube, set up by the domestic public broadcaster VPRO, and specifically it's program sequence called BackLight. These are hour-long investigative documentaries which have been narrated and subtitled in English to make them more accessible to an international audience. Ostensibly the versioning has been done to assist sales of these programmes at the International MIP-TV fair in Cannes. But by putting them up on YouTube, they make them directly accessible to the public. and a very topical documentary on Tax evasion by international companies - and the Dutch connection to it all. This program, called the Tax Free Tour, also spawned a separate website project called Taxodus.net which we've covered on this blog before. Excellent stuff. Wish there was more. But I fear that as a new round of cutbacks hit the Dutch domestic public broadcasters, this service may disappear. VPRO announced on June 3rd that it was closing its science unit completely, scrapping 81 full time jobs across the company. I have only really associated VPRO with scientific journalism. Just looking back at what has been posted about the end of broadcasting by the BBC World Service from Bush House. They may have been transmitting from New Broadcasting House for over a year, but the videos of the old days continue to surface. Like the clever lift management system as presented by a director who keeps fiddling with his pen in 1979. But the slide show from Andy Craig remains my favorite. 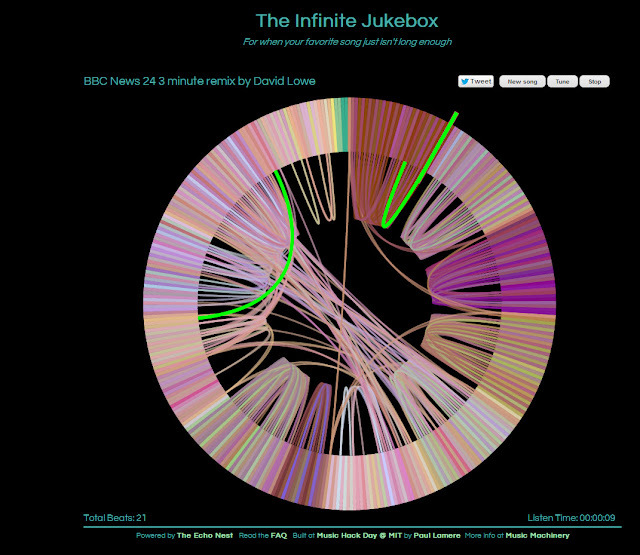 With The Infinite Jukebox, you can create a never-ending and ever changing version of any song. The app works by sending your uploaded track over to The Echo Nest, where it is decomposed into individual beats. Each beat is then analyzed and matched to other similar sounding beats in the song. This information is used to create a detailed song graph of paths though similar sounding beats. As the song is played, when the next beat has similar sounding beats there’s a chance that we will branch to a completely different part of the song. Since the branching is to a very similar sounding beat in the song, you (in theory) won’t notice the jump. This process of branching to similar sounding beats can continue forever, giving you an infinitely long version of the song. To accompany the playback, I created a chord diagram that shows the beats of the song along the circumference of the circle along with with chords representing the possible paths from each beat to it’s similar neighbors. When the song is not playing, you can mouse over any beat and see all of the possible paths for that beat. When the song is playing, the visualization shows the single next potential beat. I was quite pleased at how the visualization turned out. I think it does a good job of helping the listener understand what is going on under the hood, and different songs have very different looks and color palettes. They can be quite attractive. Here's my mix of the theme. But play with your own. Labels: bbc news infinite jukebox Bush House videos. Robert Tercek at TEDxMarin May 2011: "Reclaiming The Power of Personal Narrative" from Robert Tercek on Vimeo. This video is two years old. But what Robert says about digital storytelling is even more relevant today as Facebook reaches the 1.2 billion mark and many public broadcasters in Europe are going into meltdown. GEN Opening Speech - What's the point of the photogallery? 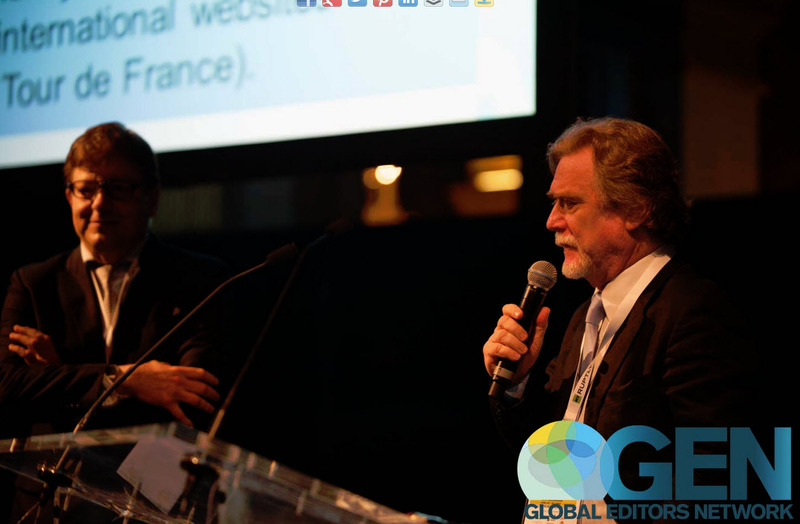 The Global Editors network offically kicked off in Paris today with it's annual summit. But the coverage is strange. Someone has spent a lot of time building a photogallery. But the entire context of what was said is missing. Shouldn't they be curating videos alongside posting vanity photos? I wonder whether Google glass will ever get beyond geek. Personally, I don't need it. I'd rather save up for an extra DSLR for some creative projects I'm getting involved in. But I came across this intriguing use of glasses via the springwise.com site. Smart sports equipment has been emerging for a while now, and we’ve seen performance-monitoring tennis racquets, bikes, and even basketballs. Electronics and watersports don’t tend to go hand-in-hand – however, Instabeat is a waterproof display for goggles that measures swimming performance and provides feedback. Where some swimmers may opt for a chest device that can monitor the user’s heartbeat, the Instabeat clips onto any pair of goggles and senses beats per minute from the temporal artery. Colored LEDs on the device let swimmers know how hard they’re working – blue for fat burning, green for fitness workouts and red for maximum performance. Instabeat also measures calories burnt and lap times, alerting users to when they’re close to reaching their targets as they swim. Once out of the pool, the headset can be connected to a computer via USB to upload the data for storing. The startup, which is based in Lebanon, recently raised over USD 50,000 through its Indiegogo crowdfunding campaign and those interested are still able to order one for USD 139, rather than the retail price of USD 149. For me, this set of glasses is screaming for another way to get its data across rather than a USB port. Nelson Mandela blunder by Deutsche Welle.